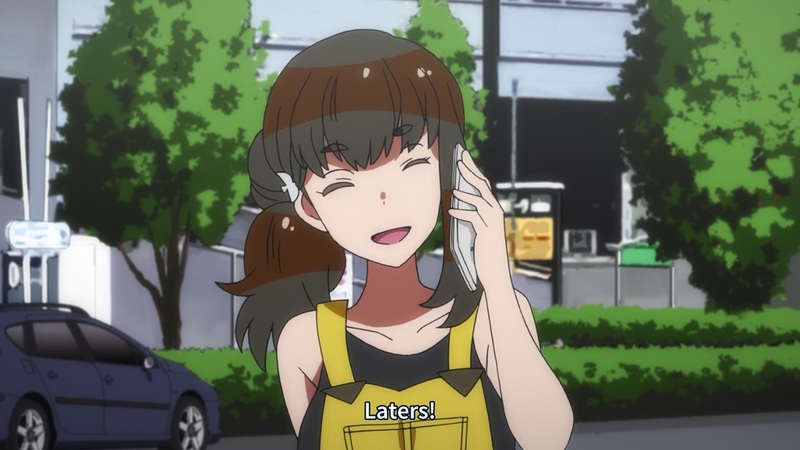 Those who follow the blog long enough know that Gatchaman Crowds holds a special place in my heart. After Gatchaman Crowds finished airing in late 2013, I wrote down a series of ideas I want to do small write-ups on, focusing on each character as a mask. Somehow, I never got around to it. Enter 2015, where we finally find out that Gatchaman Crowds Insight, a follow-up series, is about to air. I set aside the time to rewatch the original, finally write all my posts on it, and then watch the second season, without the second season impacting my write-ups on the first. Somehow, after rewatching half the series I got distracted, and only got around to watching the second season after it finished airing, but not before I made the time to rewatch the first series in its entirety. I also finally took the time to write all those small essays on the first season, where I take each character as a “mask” and through said character and their mask explore both the series and the human experience. As a result of all of the above, I found myself with tens of thousands of words written about Gatchaman Crowds. Rewatch short-notes, full-episode break-downs, proper short essays, long essays, the whole thing. I’ve been sitting on all of these words since February, unable to get myself to publish them. I did want the final piece to come out on November 8th, because seeing how Gatchaman Crowds Insight revolves around elections, I thought it’d be very appropriate. But between moodiness and illness lately, that will not come to pass. I want to do this right. This show is important to me. These write-ups are important to me. As such, there’ll be a write-up every single day from tomorrow (October 30th), through November 22nd, according to the schedule posted here, in the page that’ll collect the entirety of my Gatchaman Crowds write-ups, and then the final write-up will be released a week later, on November 29th, my birthday.